World Environment Day is held on June 5th of each year. It is a day for encouraging worldwide awareness and action for the environment. 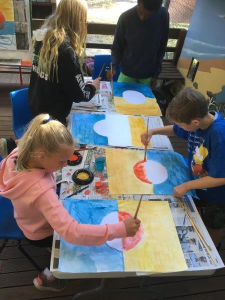 Each year students come to Bournda to get inspired and learn about how to act in support of the environment through art and activities. The activities are focused around the 2019 theme for World Environment Day. The students work is displayed at the Bournda Environmental Education Centre dinner.